A four-man band CNBLUE made a comeback by releasing its new mini album 'Can't Stop' on February 24, 2014. The album includes a total of 6 songs, while all of them are composed and written by the CNBLUE members. Jung Yong Hwa, a leader of the team, composed 'Can't Stop', 'Diamond Girl', 'Cold Love', 'Love is' and 'Like a Child'. 4th track's 'Sleepless Night' is Lee Jong Hyun's own song. The title track 'Can't Stop' begins with sweet piano melody played by Jung Yong Hwa. The song is certainly different from the band's former hits like 'I'm Sorry' and 'I'm a Loner'. 'Can't Stop' has more emotional elements, and Jung Yong Hwa uplifts feelings with his singing skill that shows emotional outburst. 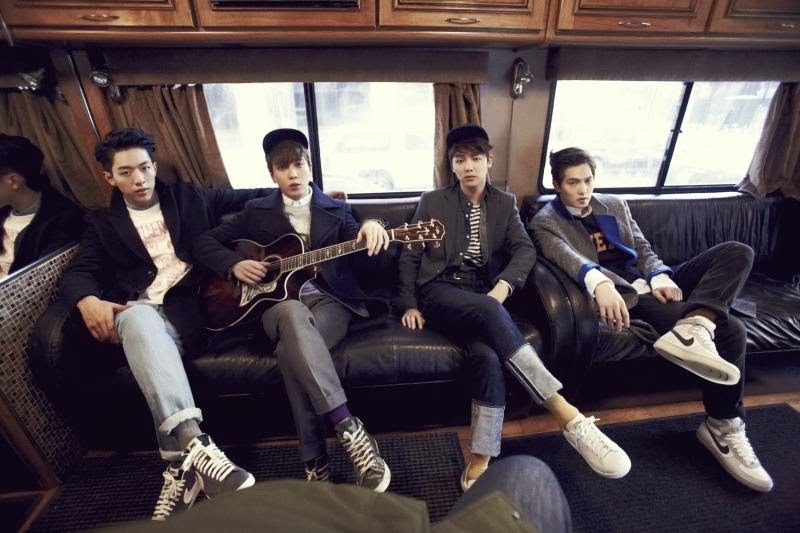 It is first time for CNBLUE to put forward emotional britpop music as its title track since the band debuted in 2010. As a song writer, Jung Yong Hwa arranged melody and lyrics cleverly. He proved that he is growing up as an artist, and at the same time, met the public expectations for his song. The chorus of 'Can't Stop', with the lyrics "Can't stop me now", is catchy enough to be stuck in listeners' heads for a long time. Before releasing the album, Jung Yong Hwa said "It is a mature album. It shows CNBLUE's identity and paths for music." 'Diamond Girl' has funky rhythm seasoned with brass arrangement, and 'Cold Love' is a powerful rock ballad piece. With 'Love is', CNBLUE sings about loneliness of parting, while 'Like a Child' includes hopeful message. Jung Yong Hwa's attractive voice tone is in harmony with band sound, maximizing CNBLUE's charm as a four-man band. Lee Jong Hyun also proved that he has as good ability to compose as Jung Yong Hwa with the song 'Sleepless Night'. Piano and acoustic guitar achieve harmony in the song, and the lyrics are about a man who can't sleep because he is deeply in love with someone. The lyrical music will make CNBLUE's young female fans spend a sleepless night. Well, I'm sure that CNBLUE will succeed in strengthening its postion as a competitive Kpop band with this impressive album.